PepsiCo’s New Kurkure Family campaign, continues its tongue(firmly)-in-cheek approach to communication. The concept provides a great way to push the new product variants and packaging by drawing parallels between flavours and members of a typical eccentric and lovable Kurkure Family. The snack commercials since the successful ‘tedha hai par mera hai’ executions, always reached out to families and leveraged festivals to drive consumption. This just takes it a step further, with popular faces from TV and Movies taking it to a different level, targeting different consumer groups and giving the variants a personality and association. 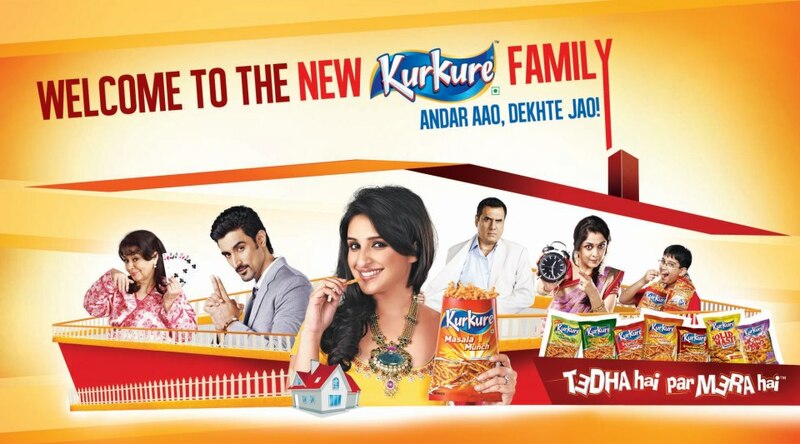 On digital, the website is still not live but Kurkure’s Facebook Page has been on an overdrive, introducing the new characters through interactive and topical posts, images and videos from the latest TV commercials. The Facebook Brand page link can also be seen on the ad films. The Official Youtube Channel hosts the series of ad films that have hit our TV screens since last month’s campaign launch. The campaign is inherently social and it will be interesting to see how Kurkure uses digital platforms (and we don’t mean only Facebook) to drive reach and engagement. The 'Andar Aao, Dekhte Jao!' credo gives us hope that there is a lot more to come.